Tourists visiting the Maldives have been told that a state of emergency, declared by the country’s president ahead of a large anti-government rally, should not affect their holiday. President Abdulla Yameen has imposed a 30-day state of emergency across the whole country limiting the constitutional freedoms of locals to meet and travel, and increasing powers of arrest. Amal Clooney won the higher ground in this landmark case as the wife of the former “Island President” Mohamed Nasheed has called for his immediate release after the UN ruled against the legal efforts of Cherie Booth and found that his detention in a Maldives jail was unlawful and politically motivated. Laila Ali joined her husband’s legal team, led by Amal Clooney and Geoffrey Robertson QC, to urge the international community to impose sanctions on the Indian Ocean nation to pressure its government to release hundreds of alleged political prisoners. “It would be worth the people of the Maldives knowing how much Cherie Blair was paid in order to lose this case so extraordinarily,” Jared Gesner said. The American human rights lawyer is part of Mr Nasheed’s counsel, which is working pro bono. 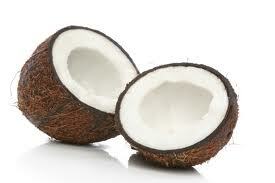 Strange but True: The curious case of the cursed coconut arrested on suspicion of Black Magic! A “cursed” coconut was the centre of world attention having been arrested in the Maldives on a charge of ‘black magic’, writes Donna Richardson. The coconut, described as “young” was detained by police after being found at a school on Guraidhoo Island on 4 September, 2013. The school was the scene of a polling station for the first round of the presidential election in Kaafu Atoll. Elections were due to take place on the weekend following the incident. The bizarre incident happened in the land more synonymous with the “bounty adverts”, than witch-hunts. But when locals reported the fruit to authorities, the police called in a white magic practitioner to evaluate the coconut, which was reported to have a verse from the Koran inscribed upon it. The ‘white magician’ revealed it to be ‘a fake’, according to local media. In Guraidhoo it is claimed that using black magic to either prevent people from voting or to influence them is ‘common practice’. Earlier this year parents at a school on the island refused to allow a polling station there because of concerns about a witch doing ‘black magic’. The tropical paradise of the Maldives, until now unmarked by globalised fast food giants, has finally succumbed to market forces; by opening up a Burger King restaurant. The fast food restaurant opened to a Holy Qu’ran recital on June 30 2013. After the ribbon cutting ceremony, free burgers were handed out to dignitaries and VIPs, just before the arrival of Ramazan – the holy month of fasting. The two Burger King restaurants now grace either side of arrivals and departures in Ibrahim Nasir International Airport (INIA)’s new food court, and are run by the Minor Food Group, a Thai-based subsidiary of the Minor International state reserves. It is one of four restaurants in the terminal opened by the hospitality and restaurant brand conglomerate that also operates six resort properties in the Maldives, including Anantara, Naladhu and the Per Aquum brands. The Maldives already had a fast food chain called Dinemore, which proves popular with local people and tourists alike, as does the Burger King and McDonalds in nearby Sri Lanka, which Maldivians bring back to the country with them, so there is definitely a market. An outlet is due to open in Male’, but with regular value meals at around the US$10-12, can half of the population afford it? Probably not as most of the population of the Maldives scrape by on a dollar a day and whose only treats are 1 ruffiya short eats, It is clear from its positioning in the airport that it is aimed at wealthy tourists, but could the price of burgers come down eventually for the local population? A burger king spokesman said it was up to the franchisee to set the prices, but it appears unlikely as these prices are pretty standard across the globe. “As part of its global strategic plan, Burger King Worldwide, Inc. continuously reviews its global restaurant presence and makes new market entry decisions based on economic conditions and future growth potential and on June 30, 2013, the Burger King brand opened its first restaurant in the Ibrahim Nasir International Airport located in Maldives, operated by Minor Food Group. Until now it was one of the few countries in the world not to have the carbon footprint of a mainstream western burger chain. 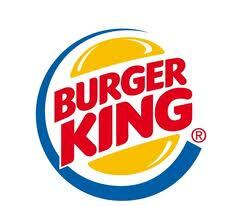 Now the BK brand has arrived, will the golden arches follow. And does this signal bad news for the environment in a country which does not even have a recycling culture? At present rubbish is simply tossed in the sea. This was fine in the days that islanders at fish, but now since the country does not have public bins in the street, what will happen with all the brown paper bags and plastic containers after the fast food is consumed? One resident said: “The opening of the Burger King joint will affect the future of the Maldives far more negatively than freedom of consciousness ever will. Fast Food places represent everything that is wrong with the super-rationalisation of the world which has been raging havoc on our resources while trying to convert the human population into robots. One upside to the introduction of Burger King to the country is that it may be a source of employment for the country’s growing unemployed, and may introduce for the first time the notion for the first time of part time working for students and mums with children. Furthermore, in a country where the average person is malnourished and living on less than a dollar a day, is it wise to introduce such a food source into the national diet? 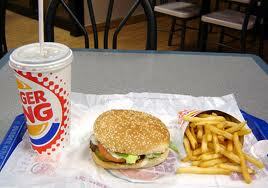 So now Burger King has gained a foothold in Paradise, will the Golden Arches soon follow? Only time will tell. The parents of a tiny month-old baby girl born thousands of miles away in a tropical archipelago with an usually large and potentially life-threatening black birthmark covering a quarter of her face are appealing to the international community seeking donations for surgery to remove the scar. The baby’s parents are from the tiny island of Meedhoo in Dhaalu Atoll in the Maldives and live on less than $800 dollars a month between them. However they need to raise more than £400,000 for plastic surgery to help uncover their beautiful daughters face, unless they can find pro-bono medical help. The father of the baby said doctors had advised him to go abroad to seek further medical assistance as there was little they could do to help in the Maldives which has a limited healthcare system. “Doctors advised me to go abroad with Shanaya so she could have plastic surgery,” wrote Ahmed Shareef on Facebook, posting a picture of his newborn. “But plastic surgery is not available here in Maldives. And it costs a huge amount. Please help me in any way you can if it is possible. Even I will appreciate your good prayers too,” he adds. The picture has gone viral across Maldivian social media since it was posted last week and has been shared by over 5000 users. The local community – both online and offline – are rallying to raise money to help the girl. The family have started a facebook campaign called My Beautiful Face. In just one week, the local community raised between them MRF 100,000, just over £4,200. Shareef said he had been in touch with doctors from abroad who had given a preliminary diagnosis of Congenital Nevomelanocytic Nevus (CNN). A nevus – the medical term for a birthmark – larger than 20 centimetres in diameter only occurs once in every half a million newborns. 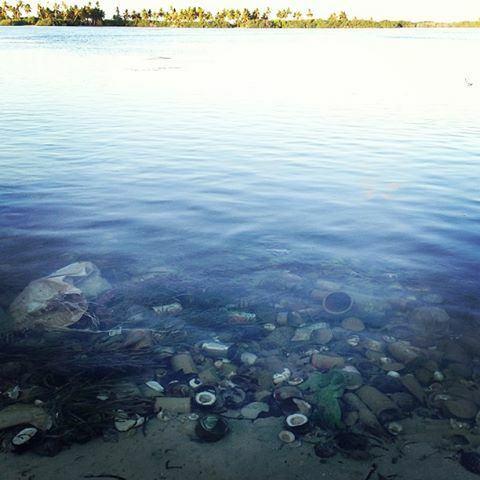 This is the first such case reported in Maldives, which has a population of around 350,000 people. The scar went undetected during ultra sound scans throughout the pregnancy, Shareef explained. The couple even paid extra to have a full colour scan but it did not pick up any abnormalities. Although the scar is believed to be benign, there is risk of it further spreading across the baby’s face and causing complications as serious as cancer, according to the family. “There is a chance of the scar spreading. Or even it may become cancerous. So most of the doctors are saying go for surgery,” Shareef explained. The young couple, who also have a four-year old son, say they are extremely worried about their daughter’s future. “How can a girl live here with that? Think about her future,” he said. “The only way I can help my baby is to take her abroad, consult a specialist and do the surgery. But my wife and I cannot afford the travel and costs of the treatment. Please help me,” he begged. Shareef is a primary school teacher while his wife is a clerk at the island council office, earning less than US$800 a month between them. Shareef said his wife Shiuna also had a heart condition requiring prescriptions and regular check-ups. “Despite all this, my wife is very strong. I am doing everything I can to help my wife and daughter,” Shareef said, thanking the public for its generous support so far. While Shareef is struggling to raise money, little support is available from the state as the country’s recently introduced national health insurance scheme does not cover expenses for plastic surgery. The Maldives has a culture of families and friends helping to raise funds for medical treatment to save loved ones, increasingly through social media. Recently, a young woman launched a search for a Maldivian donor for her husband whose kidneys had both failed. She recently announced that two matching donors had been found. Similarly, parents of a child born with cleft lip and palate ran a successful campaign called “Help Lisa Smile”. The family raised money through T-shirt sales, in addition to generous donations, and the operation was successful. I came to Male’ to deliver my second baby with so many hopes. We bought all the necessary things for our coming baby without any fear and were very excited about the birth. When the time came for the labour, I spent a lot of time in a lot of pain delivering the baby. It was a long labour and I was hospitalised for 48 hours. I heard the cry, so I knew she was healthy and alive, but instead of giving the baby to me straight away, the doctors took her away and then called away my husband. The doctors gave the baby to my husband and I was left thinking, why have they not given me my baby, what is wrong? I had so many questions for the doctors about why did not give me the baby. It seemed like an eternity but when later they had still not given the baby to me, I asked the doctors and nurses rejected to tell me why. I stayed like this, waiting and waiting to see my baby. At last, my husband came to me and gave me the heartbreaking news. At that moment my heart shattered into a thousand tiny pieces. I was devastated. I kept praying to god, shaking and crying, I could not stop shaking. Later, when they eventually brought my baby to me, I took one look at her face and hugged her tightly. My husband held me tight and the doctors and nurses all came to see her. Everyone who sees her just falls in love with her. She is very special. From that moment I vowed to do anything to give my innocent baby a brighter future. I am ready to work day and night without sleep to raise enough money to travel abroad and get surgery. The surgery will cost hundreds of thousands -we do not earn a lot of money and we are unable to go for surgery as we are a small poor family from a small island in the middle of the Indian Ocean. Shanaya is my second child, born on 19 June 2013. My wife and I married by the age of 21. Now I am 27 and my wife is 26 and we have one son called Shaaif who is four years old. Shanaya completes our family and she is very much loved. However, Shanaya suffers from a very rare skin condition called Congenital Nevomelanocytic Nevus (CNN).In oursmall island nation, there is little medical help available. Doctors have advised me to go abroad and consult a specialist. But, my family cannot afford the costs of the travel and treatment. I am doing my best to fundraise for surgery and so far the public have donated more than MRF 100,000 to my baby (£4,236). But still I need to reach more people. I have 100 per cent support from the public here but I don’t think that the public alone will be enough to raise enough money to do this surgery. Shanaya was born at the Indira Gandhi Memorial Hospital (IGMH) in the capital city of the Maldives, Male’, around 75 nautical miles from the families island home. “All the staff in IGMH treated her like a princess,” said Ahmed. “I thank to them all and all the doctors and nurses still they call to check her condition. The Maldivian medical staff have never seen a baby like this before because she is first to be born like this in Maldives. We are at home now with Shanaya because there is no facility to treat her in IGMH. “When Shanaya was born they brought the baby to me first as they refused to show her to my wife because of her heart condition. When I first saw Shanaya, I cried. My wife cried a lot. But I believe Shanaya is a gift of God (this is also the literal translation of her name). As soon as I found out she would need plastic surgery I immediately started my work to raise money for her operation. I love her more than my soul and I am ready to sacrifice my life even to treat her to the surgery. I work as a teacher in a small island called Dhaalu Meedhoo. My wife Shiuna Hassan works as an admin officer in the Island office. Shiuna has been a heart patient for the last six years. Her medicine is also not available here in Maldives so we have to buy it from abroad. We earn between us less than eight hundred US dollars per month which we spend on our family and my wife’s treatment. But we are doing our best. We don’t know what will happen later. The doctors said I will have to go abroad for Shanaya’s treatment. But my family is not having that much capacity. That’s why I now I am doing my best to get a good donation. The cost differs from country to country. Surgeons are saying they cannot mention a cost just by seeing a picture, But everyone is saying it will be a big amount. Some doctors in the West say it will cost more than USD 400,000. Most of the politicians are busy with their campaigns. Most of the richest people here in Maldives are quiet. I am only getting donations from everyday people. We are a poor nation but even some unemployed people have donated a little amount. Yes. I the question is this life threatening to the doctors more than ten times. At last I could not control my tears. My baby is so innocent and unique but 24 hours a day she looks worried. In a whole week she has never smiled once. My baby always looks like she is in pain and with a sad face. It’s so difficult to describe. I have seen many newborn babies, but never seen a baby like this ever in my life. May people visited to my house just to see. At present I am in Male’ city (the capital of Maldives, close to the hospital. I am staying with my family members in a rented house in Male’ as it is close to the hospital. More than 99% of the donations so far have come from unknown people. Since this picture was posted, the Maldives facebook community has showered my family with generous donations and prayers. On behalf of Shanaya and all the family members we thank all the donors for their generous contributions. The humble prayers and kind words are also much appreciated. Thank you so much I am hoping that someone in the west will see my baby and help our plight. I am so glad for all the help. Within one week the community donated 100,000 Maldivian Ruffiyya which is incredible given that most of the community people are of below average means. Even though they can’t donate much, so I am overwhelmed by their generosity. I met a western woman who came to the Maldives as a tourist and when she arrived here the first thing she did was to meet me. She called me and said that she heard my story and had decided to help me before she reached her resort. She donated USD100. Each night on average I have only slept around three hours, there is still so much work to do. Every night I dream of that my baby will get a chance to be able to have this surgery. So many people are also praying for her too. Let’s see how lucky she is. Presently I am talking to surgeons abroad through emails. They said that plastic surgery will cost a huge amount. They will only decide the total amount once they see the baby face to face. All of them said she will recover if she has this surgery. It is not just the physical appearance. It could be life threatening if she does not have it, as it could spread and turn cancerous. Shanaya did not experience any birth difficulties and my wife said she didn’t feel anything. As yet it is unclear whether the nevus will affect Shanaya’s vision, but we are hoping that she will be able to see properly. At this age we are not sure really very sure about it. We had a colour scan a week before Shanaya was delivered and even this scan did not find it. I am already spending a lot of money for my wife’s heart condition. She still has one more operation is pending. Our national health insurance Asanda does not cover her surgery or the heart treatment and neither of these treatments are available in Maldives. I have spoken to Indian surgeons and some doctors in Germany. My friend is speaking to a UK surgeon too but there he said the surgery could cost nearly USD 400,000! How can a poor family like us bear such a cost? I am fascinated by her and catch myself looking at her face whenever I get free time. She is so special and beautiful in her own way. Any surgeons who believe they can help Shanaya can contact Ahmed Shareef on shareef7861982@gmail.com. 00960 7757745, or contact him on Facebook.